Download and unzip the ‘Active_Child_Theme.zip’ file to your computer. Locate the active.zip file in the Active_Child_Theme folder on your computer and then click Install Now. When the install is complete click on ‘Activate’, you will then see the Active Child Theme as the active theme in your theme panel. Click on Import and upload Active Theme Options.json. Click on Import and upload Active Customizer Settings.json. 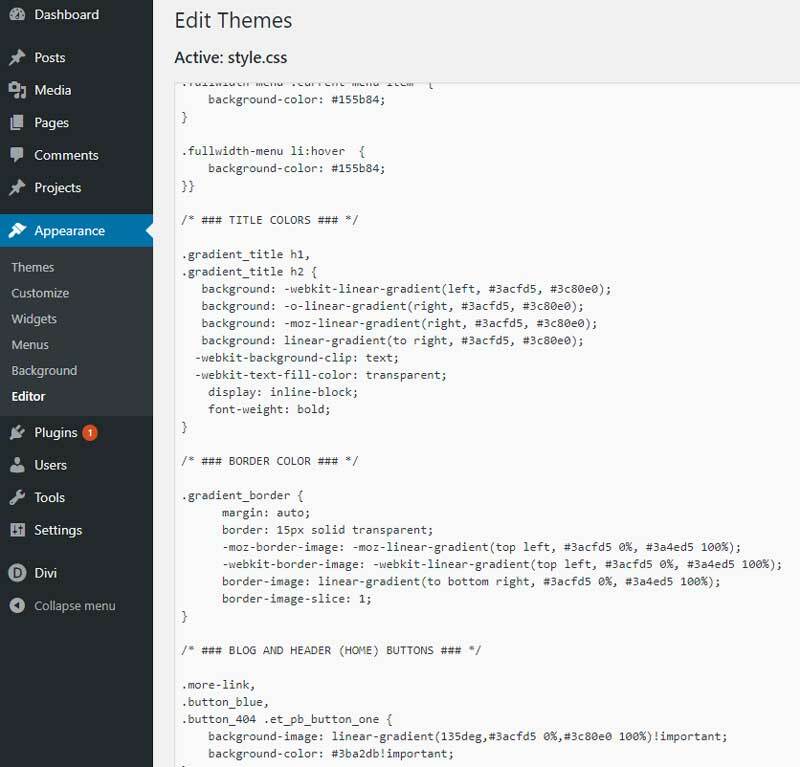 Click on Import and upload Active Builder Layouts.json. Choose the file Active-widgets.wie. Click on Import Widgets. Under the advanced settings tab fill in the field Z-index: (optional) 999 in. We made the header as a global section. This means that every page that has this global section will be the same. So if you adjust one, then all the pages that have the same global section will be changed as well. To change the logo, you open any page that you have created. And you open the first image and place your logo in it. Same goes for the social media buttons and the phone number. 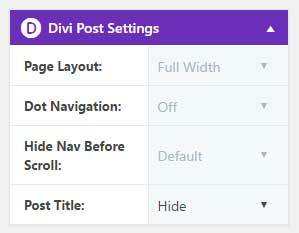 If for example, you don’t want the social media buttons then you can just remove them or replace with any other Divi module. If you want to change the color for the phone number, just open the module and change the font color. Most colors you can change inside the Divi modules. The menu colors, title gradient, border gradient and the read more button from the blog you have to change in the CSS. stylesheet go to appearance > editor. If you want to give a h1 or h2 title the gradient color. 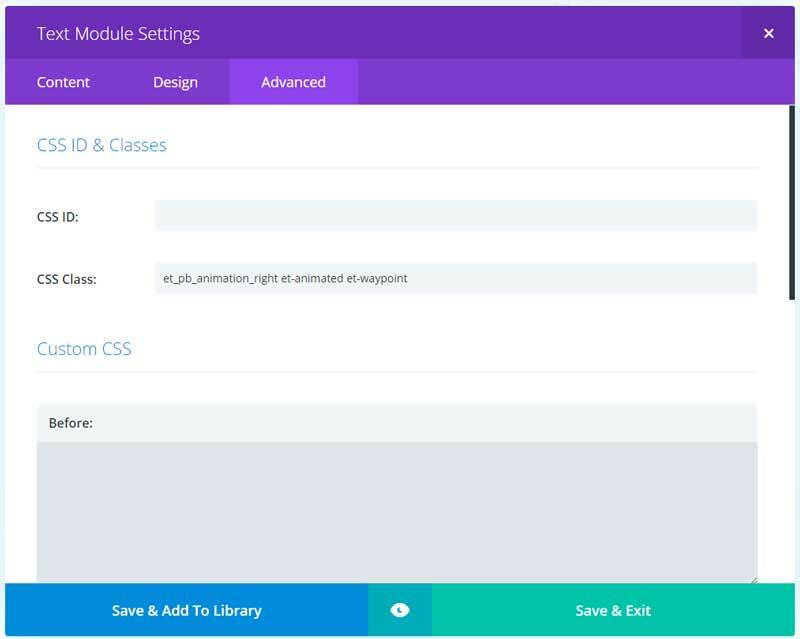 Then you just have to add the gradient_title class to the module. 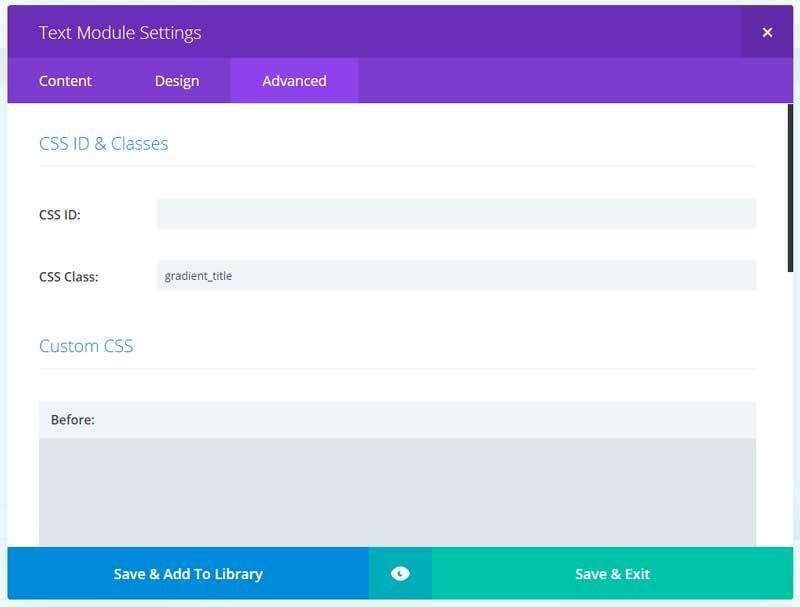 For the gradient border you add gradient_border class to the module, row or section. Go to Load From Library > Add From Library and choose Single Post Page. Do the same with Menu Global.